True confessions. I used to get so stressed out cleaning and perfecting that my family hated having people come over. It hit me like a ton of bricks the day both my girls whined, “I hate having company.” Whaaaaat? How have I failed to teach them hospitality? How could they be so insular? so selfish? Then the rest of their sentence rolled out. How could I teach them love for others when I was not loving them under pressure? I am glad that hard conversation came when it did. And I am sad that my temper tantrums lasted as long as they did. Hospitality, it turns out, begins at home. So does honor, respect, patience and valuing others, no matter how old your kids are. Unskilled toddlers or resistant teens. I know some of you sweet, calm moms have no idea what I am talking about. But some of you do. We want everything to be so perfect, so under control, that we try to manage our children like little chess pieces on a gameboard to keep everything “just right.” Here is the kicker. If I have to yell to get my chore list done to my satisfaction, I don’t have my priorities in place. God changed me. I have had many people over in the last four years. The chores have gotten done, or not. The table set beautifully, or not. The food delicious, or not. And none of those “things” have been more important than loving on my kids and husband well in the process. Okay take a deep drink from the cup of Grace. He loves you no matter what. But let’s learn some new ways. • It doesn’t have to be perfect to be well done. Be satisfied with less. • If I am getting charged up, I am not trusting God in the details. Stop and pray. • My kids are going to learn from me, so I might as well teach them grace instead of rage. Worship instead of worry. • And finally, understand that the peace in your home is more important to everyone than the looks and the food. I can go anywhere for food. I can’t go anywhere and get the peace of God. Invite Him to rest in your home while you prepare it for others. Okay. Enjoy getting ready for Thanksgiving. I mean it. Enjoy it. All of it. 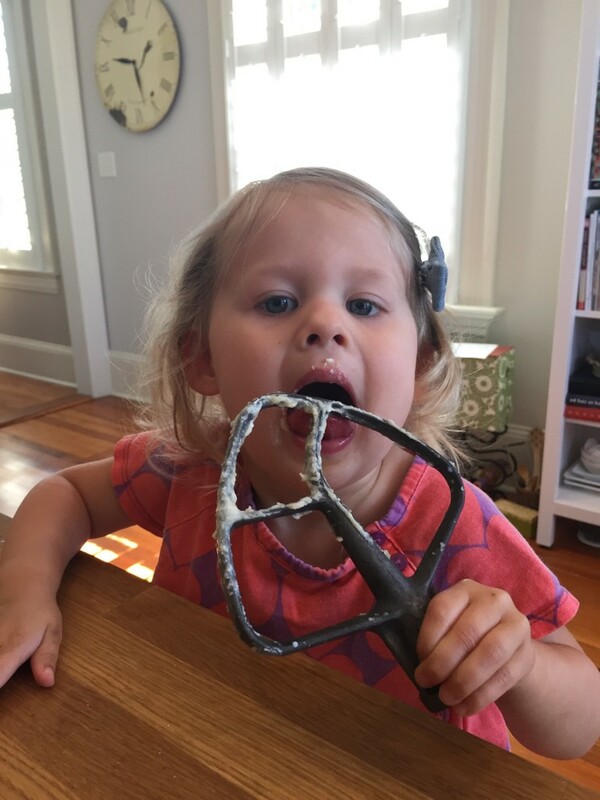 Porter LeBoeuf enjoying some of her grandmother’s, Kate LeBoeuf, delicious goodies. And her peace.